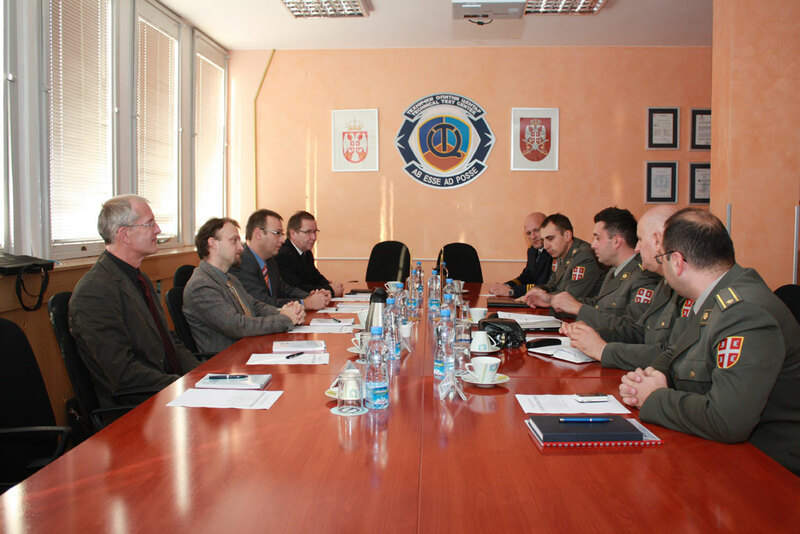 A four-member delegation from the Ministry of Defence of the Czech Republic, led by Dr. Libor Soumare from Scientific and Research Institute of physical training and sport, which is paying an official visit to the Ministry of Defence of Serbia and the Serbian Army, on 02nd of November 2011. visited Technical Test Center. Deputy Director major Radovan Karkalić with his associates, received the guests from the Czech Republic, and presented to them the main activities of our company and capabilities of weapons and military equipment testing, with emphasis on the CBRN devices. The main topic of discussion was the possibility of cooperation in the field of nuclearbiological andchemical defense, especially in the field of development and testing resources for this purpose. The guests were presented the project named "Increasing soldiers combat capabilities by improving physiological suitability in extremely hot and high-toxic environment", which is currently being implemented by the Technical Test Center. During the discussion it was concluded that the work through specific forms of cooperation must continue in the future, primarily through joint participation in this project on serbian field tests in the summer 2012.